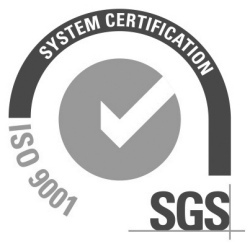 Flash Global, the world’s preeminent provider of holistic service supply chain solutions and a company steadfastly committed to continuous improvement through its quality management system, passed a recent audit of its ISO 9001:2008 QMS certification. The results: No major or minor non-conformities in any areas of the audit. In addition to the areas mentioned above, the scope of this audit and ISO 9001:2008 QMS certification also covers, among other things, how Flash manages its Partner Network of Global Service Centers, Distribution Centers and more than 750 Forward Stocking Locations worldwide. “This is a testament to all Flash employees — especially the management team and executive leadership — who share a common vision to maintain the highest levels of accountability, create and use the most efficient processes and apply effective management principles at every level of the organization,” said Doug Ray, Senior Director of Service Delivery for Flash Global. The International Organization for Standardization (ISO) has published more than 21,000 international standards and documents that cover nearly every industry and millions of companies in 170 countries around the world. Companies who obtain and retain this QMS certification reap the rewards that stem from a customer base that knows they’ll get consistent, good quality products and services. Flash is already working on upgrading to ISO 9001:2015, which will occur sometime in 2017.